Does football really need transfer windows? If the road to hell is paved with good intentions, then football’s transfer windows are a super highway to sporting madness. The concept of defined periods of buying and selling players has been enshrined in international law for nigh on a decade now, but every time January 31 comes around, whenever August 31 looms on the calendar … well, I don’t look forward to it with any joy. It’s a system that’s supposed to stop big clubs with big budgets gaining an unfair advantage over smaller teams. But, unless UEFA’s new financial fair play rules are more strictly adhered to, that is plainly a nonsense in Europe at least. Just look at last January when Chelsea forked out $80 million for Fernando Torres as the minutes ticked down to the deadline, and Liverpool reinvested some $55 million of that in unproven England striker Andy Carroll – whose previous club Newcastle then had no time to replace him. Not only did both clubs pay over the odds for the players, but it heightened the stakes in a game where transfer fees and wages keep rising and rising. Not surprisingly, Chelsea announced on Tuesday a loss of £67.7 million ($107 million) for last season despite record turnover of £223.3 million ($350 million). Add Manchester City’s Abu Dhabi billions – and huge operating deficit - into the equation and you have a vastly distorted transfer market. Admittedly none of these clubs were busy buying last month, as the new financial requirements are starting to take effect, but smaller teams have been indulging in the usual last-minute frenzy - especially in England. When you see struggling sides – such as Bolton and Queens Park Rangers in the EPL – forking out millions of dollars on far-from-top-notch targets, you have to wonder at the sanity of it all. Quite contrary to promoting sensible transfer policies, the windows – especially the January one – encourage teams to stock up on players they can’t necessarily afford in case injuries hit in the second half of the season. So maybe it’s time for change. Why not have a system where all permanent transfers between clubs in the same region are completed before the season starts, then allow loans to take place at any stage when and where they are needed? Temporary deals are very restricted at the moment. Internationally, there would have to be some flexibility. If Real Madrid wanted to buy Neymar from Santos, then in my ideal scenario the move could only take place in between Brazilian seasons - to protect the selling club from unwanted mid-campaign approaches – but he could still join in the middle of the Spanish campaign. There would be similar situations in countries which have a different calendar, such as Scandinavia, Russia and Ukraine - plus China and the Middle East, two places increasingly on the radar for international players. Obviously that means there would still be one deadline day for each region, but it would take a lot of pressure off managers and players – and the accountants. Out-of-favor footballers can these days spend months kicking their heels in the reserves waiting for the next window, especially at clubs with big squads. It was depressing, for example, to see proven internationals such as Roman Pavlyuchenko, Sebastien Bassong, Vedran Corluka and Steven Pienaar struggling to get a game for most of this season at Tottenham, the club I support, before finally being shipped out on deadline day. 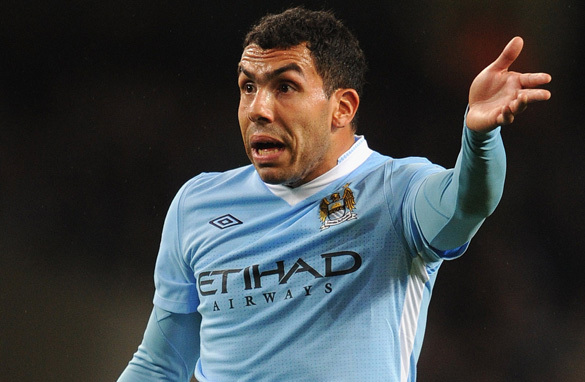 Imagine how quickly the Carlos Tevez saga would have been solved if Manchester City could have shipped him out straight away (assuming a loan was agreed). The wantaway striker would by now have been at AC Milan for a couple of months, he wouldn’t have fled home to Argentina and he wouldn’t now be appealing a six-week fine for that absence. Smaller clubs wouldn’t feel backed into a corner as the big boys try to poach their top players at cut-price rates, and the footballers themselves would have some sort of security about their future. What do you think? Do you enjoy the buzz and hype of the transfer window, or would you prefer that clubs could sign players whenever they want? Is there a better option? Yes, of course, otherwise it would make every league "unwatchable", with the constant changes being made regarding transfers. To be honest, there should only be one transfer window (summer), where you make all your signings. You get a substantial period of time to make all your signings. I like the hype of the transfer window, especially after the Torres disaster...but you do have point. I think tevez sent himself into early retirement. Waiting to see who gets neymar! The narrow midseason transfer window likely increases transfer fees as desperate teams are buying in a sellers market. The current system is only good for journalists and blog writers with over active imaginations. There is something to be said for a summer only window where teams would live or die with their opening roster. However, I'd prefer free trading except for a closed window towards the end of the season. The transfer window is a good thing, as it keeps players from jumping team to team to team throughout the season. If a club is stupid enough to spend the transfer fee, then that's their own dumb fault. The Manchester United's and Real Madrid's need to spread their financial wealth and developing young talent is everyone elses way of getting a piece of that pie. It's completely ridiculous to apply rules to sport that doesn't apply to any other business in the world. And sport today is just a big business. All players should be only owners of themselves. They are paid to do some work, and nobody should make them feel like gladiators, owned by the boss. If someone has lots of money he will get what he wants in time anyway. But we must realize that current rules are base for corruption since there's hundreds of clubs and managers that are using these rules to humiliate players and earn more by blackmailing them and destroying their career. I don't see any reason why any club should have to pay for the player, and why players has to be owned by any club. Players are workers that should have freedom to decide about their life, and they only need to negotiate about salary as in any other business. Treating players as merchandise is not human and civilized. Players get injured, players getting old, clubs in need of reinforcement, ever thought about that, you smart ones? Quite simply I think reading this article was a waste of time and it's a really dumb question to ask. I think No.Does football really need transfer windows?